Identify yourself and put your skills or works in the foreground with Personal Profile WordPress Theme. It features a simple and minimalist full-width layout with smart usage of negative space. A large hero area welcomes every visitor that lands on your page. Simple menu and grid-based content structure facilitate navigation. Organizing different types of information into visually separated blocks adds a more balanced look to the theme. There will be no need in developing a mobile version of your personal page since the template is 100 responsive. Other useful features include Bootstrap and Cherry Framework functionality, crossbrowser compatibility, SEO optimization, audio/video integration, 3 sliders, plenty of font and color choices, custom page templates, and more. Online chat refers to any kind of conversation that starts over the Internet in the real-time. It enables you to live chat with website visitors and analyze visitors' internet activities. Responsive design renders an online page the exact same perfectly on any type of screen size. Responsive web page design helps to get better buyer experience and provide a extensive access to the website data from any gadget. This is a element that can help to satisfy all customer and search engine demands and reach ranking positions in the search. The Search engine friendly web design suggests that the website will be successfully indexed and positioned higher by the search engine. WPML-ready layouts could be converted in quite a few foreign languages with no trouble, hence letting you create a multi-lingual web site. It doesn't matter in case you already have got consumers talking a distinctive language, or maybe intend to widen your business in foreign lands - WPML plugin can help you with that. It can be works with most of the modern-day page builders and also CMS. So that you don't need to worry about that. Parallax scrolling is a front-end visual technique associated with images moving less quickly as opposed to the background to make a "2D" impression. Parallax scrolling effect offers your site visitors an illusion of depth in 2D spaces of your website. It makes your resource more vibrant and unique. Parallax is great for spicing up a landing page, giving life to infographics, or even displaying a portfolio. That's a feature which allows displaying your works in a distinct area. An inspired program, built to reveal the entire experience of a professional, to point out his talents. A well-produced portfolio that presents the finest pieces is a solid addition to resume and cover letter. It shows off a work experience, your very own approach and, above all, talent. Bootstrap is a extremely well-known framework, which makes the work with HTML, CSS and JS less complicated. It was made as a tool to put together a responsive design, yet eventually it added a bunch of extra overall performance. Bootstrap is extremely variable for any modification. It's simple to manage with, features a superb grid system and vast components variety. What is a unique purchase license for WordPress design for Society & People News? If you purchase the product at a â€˜Unique price' it guarantees that you are the first and the last person to buy this WordPress design for Society & People News from us. It means that this template has not been sold before and you become an owner of a unique design. After this kind of purchase the template is being permanently removed from our sales directory and is never available to other customers again. The unique purchase license allows you to develop the unlimited number of projects based on this template, but the template should be customized differently for every project. Can I resell the customized Society & People WordPress theme? No, you cannot resell the customized Society & People WordPress theme as a template but you may sell it as a project to your client (see paragraph 1 ONE TIME USAGE LICENSE for more details). What are the advantages of purchasing a Society WordPress design? The major advantage of purchasing a Society WordPress design is price: You get a high quality design for just $20-$70. You don't have to hire a web designer or web design studio. Second advantage is time frame: It usually takes 5-15 days for a good designer to produce a web page of such quality. What is Developers License for Society WordPress design? If you purchase a Developer's license, you are granted a non-exclusive permission to use the Society WordPress design on up to 5 domains for projects belonging to either you or your client. Will the WordPress template for Society & People Support be deleted from TemplateMonster database? No, the WordPress template for Society & People Support will not be deleted from TemplateMonster database. Is it possible that Template Monster will contact my client which website I made from Template Monster's website Society & People Support WordPress theme? Yes, our legal department checks licenses regularly. In case we won't find designer's contact information on the site which was made from the Society & People Support WordPress theme of ours we will contact the owner of the site directly. Can I put a line at the bottom ( or any other spot) of the customized WordPress design for Society & People "Website design by Company name"? No, you cannot place a line at the bottom ( or any other spot) of the customized WordPress design for Society & People saying "Website design by Company name". Nevertheless, you can place "Customized by Company name". Can I apply a discount code to a discounted Society WordPress design or combine several discount codes together to get better price? Are there any limitations on selling the Society & People Services WordPress design theme as the integral part of my new product? Can I resell the customized WordPress design for Society & People? Yes, you can redistribute WordPress design for Society & People under the terms of the GPL as well. Can I customize the Society & People Services WordPress design theme? Yes, you can customize the Society & People Services WordPress design theme to any extent needed. You cannot use a header of the template for one project though, and images from the template for the other project. Requests for a refund are accepted at www.template-help.com/tickets within the period of 2 weeks after the order of WordPress design for Society & People is placed. You should accompany this request with detailed and grounded reasons why you apply for a refund. Please make sure your request does not contradict the terms and conditions specified in the policy. A refund is issued to you upon receipt of a Waiver of Copyright signed by you. Will TemplateMonster help me to install my Society WordPress design? Some of our products like osCommerce templates, Zen Cart templates, etc. require installation to operate. Installation services are not included in the package price. TemplateMonster though offers you a variety of sources to help you with installation of your Society WordPress design including installation instructions, some articles with our Online Help Center. Our Knowledgebase contains customers questions and most frequent problems. Anyway, you can always refer to our partners from TemplateTuning.com to install your Society WordPress design for you for a small fee. How can I modify WordPress design for Society & People Services to suit my particular website? Please visit our Online Help Center to obtain detailed instructions on editing WordPress design for Society & People Services. What is Extended License for Society & People WordPress theme? Are your WordPress themes for Society & People Supportcompatible with any CMS? Can I put a line at the bottom (or any other spot) of my new product "Website development by Company name" after purchasing WordPress template for Society & People Support? Yes, you can place a note at the bottom (or any other spot) of my product "Website development by Company name". Nevertheless, you cannot place "Website design by Company name"while using one of WordPress template for Society & People Support. What am I allowed and not allowed to do with the Society WordPress templates? You may: Build a website using the Society & People Services WordPress design theme in any way you like.You may not:Resell or redistribute templates (like we do).Claim intellectual or exclusive ownership to any of our products, modified or unmodified. All products are property of content providing companies and individuals.Make more than one project using the same template (you have to purchase the same template once more in order to make another project with the same design). Can I use graphics from Society & People Support WordPress theme I purchased for use in printing? Yes, it's not prohibited to use the Society & People Support WordPress theme graphics for printed material, but the resolution of the templates graphics ( except for logo templates) is not enough for printing. What will I see instead of the images after installation of the Society & People Support WordPress theme? After Society & People Support WordPress theme installation you will see blurred images included for demo purposes only. Is it reasonable to make unique purchase of Society & People WordPress theme that was already purchased before? Yes, it's reasonable to make a unique purchase of Society & People WordPress theme. Because there is very small chance that you will find the same design on the net. There are more than 3,000,000,000 webpages online now according to statistics on www.google.com. Are there any discounts if I'm buying over 10, 20, 30 or more WordPress design for Society & People News? Please email to marketing@templatemonster.com with your inquiries about Society & People Services WordPress templates. What is a buyout purchase license for WordPress template for Society & People Support? If you purchase the product at a â€˜Buyout price' it guarantees that you are the last person to buy this template from us. It means that this WordPress template for Society & People Support may have been sold before a couple of times (see â€˜Downloads' number in item's properties) but only you and people who bought the template before you will own it. After this kind of purchase the template is being permanently removed from our sales directory and is never available to other customers again. The buyout purchase license allows you to develop the unlimited number of projects based on this template, but the template should be customized differently for every project. Are there any restrictions for using imagery, cliparts and fonts from the WordPress design for Society & People I purchased? All imagery, clipart and fonts used in WordPress design for Society & People are royalty-free, if not stated otherwise on the product page, and are the integral part of our products. One Time Usage License and Developers License give you the right to use images, clipart and fonts only as a part of the website you build using your template. You can use imagery, clipart and fonts to develop one project only. Any kind of separate usage or distribution is strictly prohibited. Is it possible to buy the particular image from the WordPress template for Society & People Support? No. According to our Terms and Conditions we never sell the images separately from WordPress themes for Society & People Support (as well as the templates separately from the images). I have customized the WordPress design theme for Society and would like to protect my content by copyright, can I place Copyright, Mycompanyname.com? After WordPress design theme for Society purchase you can put your copyright to the template. But you cannot place a line at the bottom (or any other spot) of the customized project saying "Website design by Company name". Nevertheless, you can place "Customized by Company name". Can I put low resolution thumbnails of WordPress themes for Society & People Support on my website for my clients to choose designs? Can I get the Society WordPress design in higher resolution to use for printing? No, we design WordPress templates for Society optimized for web resolution only. This template is very easy to customize. I enjoyed working with it. 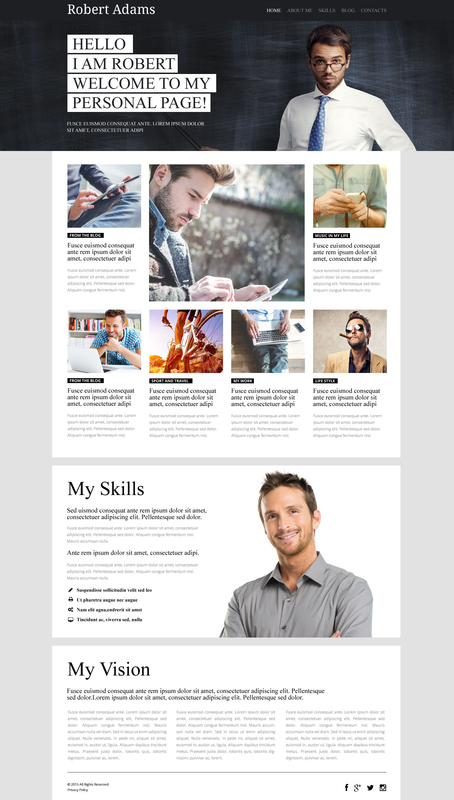 If you&#039;re looking for a template to do an amazing personal profile, this is the right template for you. The photo gallery is a very good feature, plus it&#039;s easy to configure. It simply makes your work come out better, giving your work the much needed professional touch effortlessly. If you carefully follow the install and configuration instructions, you won&#039;t have any issue using the template to your taste. This template offered me more that I expected, it&#039;s super flexible to customize and my fit perfect to my project. In the other hand, I wish this template be available for general sources such HTML. This would be great since I could implement it under projects that use other platforms besides Wordpress. So I used this template for a company that has a lot of great photo&#039;s of their work. This template was nicely put together and really easy to edit for the little bits I fancied. Top stuff!